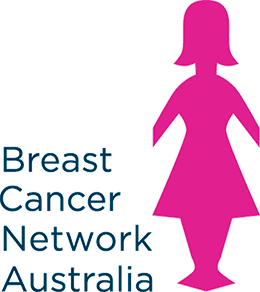 On Wednesday 17 October, BCNA is hosting a special tribute event in Canberra to mark its 20th anniversary. You may remember reading in the last Beacon our Founder, Lyn Swinburne, recalling the inaugural Field of Women on the lawns of Old Parliament House, Canberra, in October 1998. ‘The 10,000 bright pink silhouettes stood for the women diagnosed that year and the 2,500 white for the women who we would lose. This brought the shocking statistics to life, capturing media attention and the notice of politicians. BCNA was on the map,’ she said. On Wednesday 17 October, we will recreate this pivotal moment in BCNA history with another Field of Women on the lawns of Old Parliament House. We will also host an information forum at Old Parliament House during the day. Visitors are welcome to attend the Field throughout the day, and are invited to write messages of support and in memory, which will be displayed on the silhouettes. For more information and to register for the forum, visit bcna.org.au. Don’t forget that 15 November is your last day to decide whether you want a My Health Record. My Health Record is the Australian Government’s electronic health system that provides every Australian with an online record of their personal health information. Until this year, you were required to sign up for a My Health Record if you wanted one. My Health Record has now been changed to an opt-out model. This means you will automatically be given a record unless you opt out. My Health Record will help you keep all your health information in one place. You and the health professionals involved in your care can add information to your record. You can control what is included and can ask that some information not be put into your record. You can also use the privacy settings to control which health professionals are able to read your record. There are some concerns about whether the My Health Record system will be secure and people’s information protected. The government has responded by advising it will amend the legislation to protect people from having their medical records accessed by third parties including the police and government agencies. However, there are still some concerns about whether the data will be protected from internet hackers. In response, the Senate has opened an inquiry into the My Health Records Amendment (Strengthening Privacy) Bill, which is due to report early October 2018. BCNA will provide a submission to this inquiry advocating on the importance of the My Health Record as part of a modern health care system and the expectation of Australians that their privacy will be protected. If you want more information, you can watch a series of Consumers Health Forum of Australia webinars by visiting chf.org.au/hub-my-health-record-webinar-series. On Saturday 11 August, BCNA hosted the Plan B survivorship conference in Melbourne. The conference was live streamed so those who couldn’t join us in Melbourne could hear about living well beyond breast cancer. The recording is now available to watch any time. You can watch the whole conference or just the presentations that are of most interest to you. Topics include exercise, sexuality, diet and lymphoedema. To watch the conference, visit www.webcasts.com.au/planb.